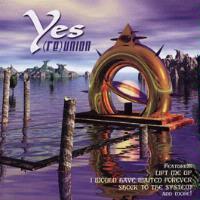 When Yes released Union it was a hodgepodge sort of album. A patch together of a bunch of Yes West (Trevor Rabin, Tony Kaye, Alan White and Chris Squire) songs with the material that was forming for the second Anderson Bruford Wakeman and Howe album. The result was an inconsistent release with some very good music and some mediocre to lame. Well, this release is a shortened version of that set with new cover art. They (for the most part) kept the good stuff and jettisoned some of the weak material. That said, I think there are a couple here that could have been traded out for “Evensong” or “Angkor Wat” to make this stronger. Still, for those who already have Union it’s just redundant. Since I already did track by track reviews for all of these in the review for Union, I’ll use those here for the sake of consistency. 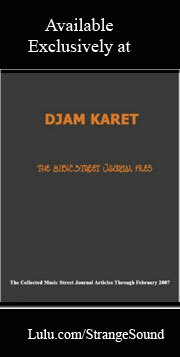 This review is available in book format (hardcover and paperback) in Music Street Journal: 2010 Volume 1 at lulu.com/strangesound. This cut from the ABWH camp is a cool heavy free form number with a great arrangement. It features some smoking guitar work. This wouldn't qualify as "classic Yes", but it's pretty darn good, feeling a bit like a cross between the styles the band did on Tormato and Drama. Another from the ABWH guys, this one is an almost funky riff driven hard edged rocker that feels more like Yes West than it does this lineup. Howe finds plenty of chances to scream over top of this one. Steve Howe earned a Grammy nomination for this acoustic guitar solo. It is an intricate and pretty piece. This one is the first in the set from the Rabin incarnation of the group. For some reason this one comes across like a merging of the Rabin songwriting and the ABWH sound. It's actually one of the stronger numbers on the album. This is one of my favorite tracks from the album. Starting in a very dramatic and powerful way, this has a killer texture. It runs through in this style for a time, then explodes into another movement, sort of a slapping rhythmic structure with some heavy crunch. This also includes a somewhat accessible pop rockish segment. It's another from ABWH. This reggaeish pop rock number is only made tolerable by the vocal arrangement. Otherwise it's a classic example of why Rabin's songwriting is not consistent with the "Yes" sound. Another from the Rabin camp, this one is actually quite cool. It starts with a fast paced riff driven segment, then drops back for a brief interruption to acapella. Then it's right back up to where it came from. They work through this mode for quite a while, lacing various textures overtop. Then it drops to a bouncy rocking segment that makes up the verse. A song about the perils of the dying ecology of the ocean, this one is quite dramatic and dynamic. It is one of the highlights of the disc and gets quite powerful. This one is another from Anderson Bruford Wakeman and Howe and it starts atmospheric, then a staccato riff driven segment emerges, punctuated aft first by stops. This is a bit off-time anyway, make it feel slightly off-kilter, but in a good way. This dynamic number is one of the proggier ones on the album and both Howe and Wakeman find the opportunity to show off a bit. The final track from the Yes West guys, this slow moving composition has a killer texture. It isn't exceptionally flashy, but simply a great mood piece, and another of my top tracks from the disc. This fast paced progish number is alright, but definitely not great. However, the jam that takes the piece later definitely elevates just on the sake of the powerful energy and majesty it conveys. This segment is one of the highlights of the album, but, alas, is not a large enough section of the track.